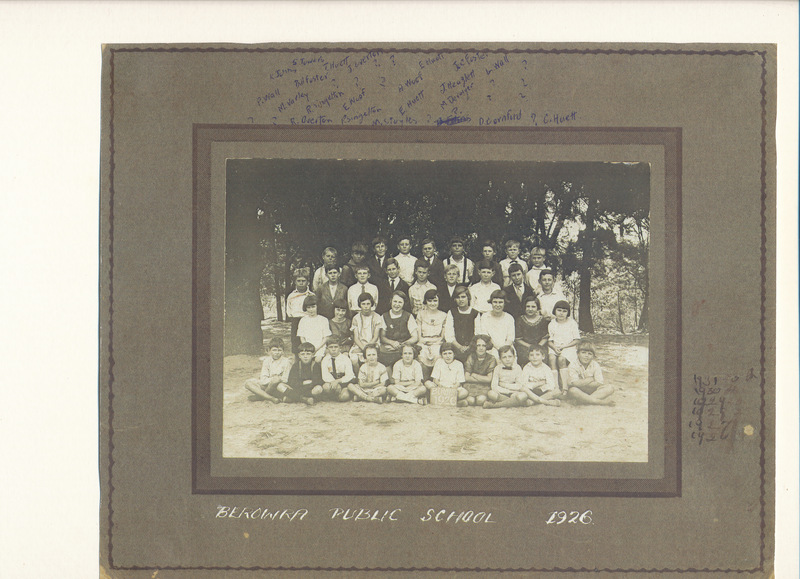 This attentive group of 37 Berowra Public School students, gathered under the trees in 1926,no doubt represented many of the families resident in Berowra at the time. A rough list of names appears on the photograph border (possibly done by Bill Foster himself). Most of the surnames mentioned are well known in Berowra even today. 2012 marks the Centenary of the official opening of the large classroom extension to the original Berowra Public School Building (not shown in the above photograph) and is to be celebrated. We are gathering information about Berowra Public School – Can you help? Do you know anyone in the photograph above?